It is with sadness that I've made the decision to shut down the InterTwinkles website. After three years of operation, InterTwinkles remains an interesting experiment, but has failed to contribute substantively to its mission of helping small groups and co-ops to engage in decision making processes online. The InterTwinkles website will cease operation on June 1, 2016. If you or your group are in need of data exports or advice on moving to other services, please contact me and I'll do everything I can to help with the transition. Points of Unity is a tool for developing a set of shared values or principles with your group. 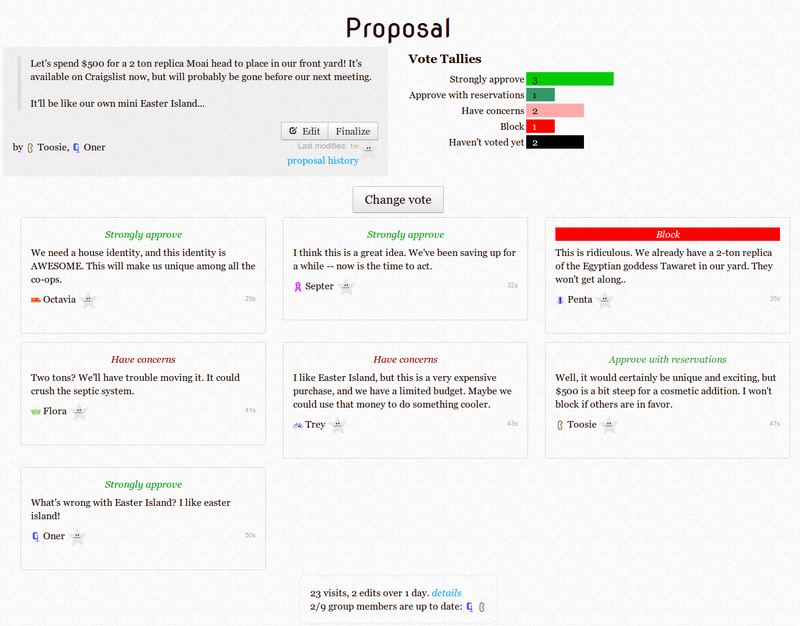 It allows you to create drafts of points, to vote on them and edit them, and to choose which points to adopt as a group. Having a set of principles that everyone agrees to is an important foundational component of almost any organization, and this tool makes it easier for groups to craft these points. A bill of rights and responsibilities for members of a group. Ground rules for better communication in meetings. Principles to be included in a group's mission statement. Songs to include in the next party's playlist. Strategies for the group to adopt to combat the moth problem in the pantry. Click "New Board" to create a new set of points. Name the point set with the framing question or idea for the set of points. 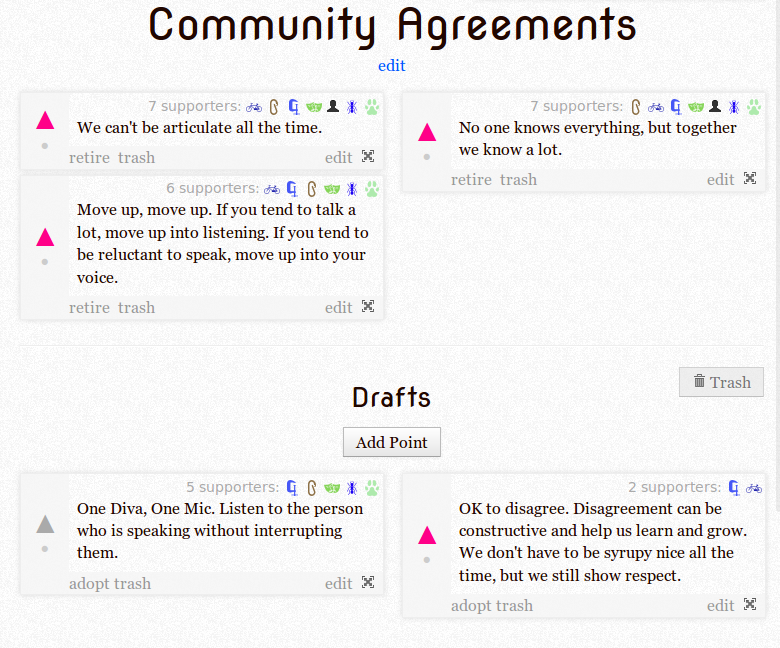 Some examples might include "Bill of Rights", "Community Agreements", or "Organizing Principles for our group". Add your group as the owner of the set of points. Alternately, you can keep the set of points open to the public by leaving the group blank. Vote for points by clicking the triangle arrow. When the point has enough support (by whatever threshold your group sets), click "adopt" to promote it from the drafts. Anyone can edit a point to change the wording or meaning. When they do so, the point's votes are cleared, so only do this if the change is worth it. You can see the history of edits to the point and its supporters by clicking "history". A great way to use Points of Unity is to create a set of core principles that guide your group. Whenever a new person joins the group, ask them to visit the set of points, and to vote for all the points they agree with. If the new person doesn't agree to a given point, or has new suggestions for the group to adopt, take the opportunity for the whole group to revisit the set of principles. Find more info on the wiki, or contact us for support. InterTwinkles just added support for deleting documents. What took us so long? Well, deletion in the context of group documents is not as obvious as it might seem. When you collaboratively create something as a group, in a very real sense, the result belongs to the group, not to a single individual within it. So when one person decides they want to erase something permanently, we want to ask the group if that's what they want. Some services never truly delete data. Out of the box, EtherPad works this way - a history is always maintained of every edit, with no way to delete. That way, if someone else objects, they can always restore it from the trash or revision history. Given the importance of online privacy and security, we felt it was critical that you be able to actually permanently remove things from the Internet. Some services assume that there is only one "real" owner of the data, and that person is allowed to delete it, but other group members are not. This goes against the model we're striving toward which enables groups to be owners of data. We don't want to enforce any particular decision making policy on groups - we think it's great that some use consensus-based processes, some use modified consensus or various majorities, and we don't want to impose those policies structurally by building them into the deletion mechanism. At the same time, we don't want people to accidentally delete hard work that the group created together. Too much bureaucracy is harmful, but we still want to let groups check themselves when taking irreversible actions. There is a "trash" where things can be put, without actually deleting them. This is a safe place to put non-sensitive stuff that you just want to get out of your face. 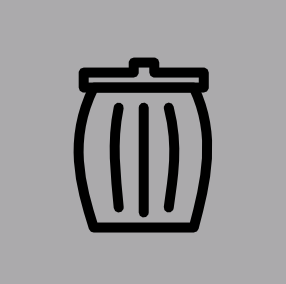 Anyone can put anything in the trash at any time, and can restore things from the trash with one click. You can also delete things outright (as in, gone forever). If only one person in the group has worked on the document, they can delete it immediately - this handles the case of accidentally created items which shouldn't waste anyone's time. If more than one person has worked on a document, "delete" starts a 3-day timer, and notifies the rest of the group that you want to delete something. Within those three days, any other group member can "second" the deletion and it will proceed immediately, or they can "cancel" the deletion to rescue the data. If three days go by with no action, the document is deleted permanently. It only takes one other group member to delete something immediately or to contest deletion. We think this is a good compromise which lets you get sensitive data off the Internet pretty quickly, but still protects you from accidents or over-zealous deletionists. Like many of the other tools in InterTwinkles, it depends on you having a reasonable amount of trust in your group members. But it also doesn't bog you down with the access control mechanisms that you don't need for small groups. Like this strategy, or have a better idea? Let us know what you think! InterTwinkles Comes to the Millstone Coop: Silliness Ensues! Last Monday night, Charlie DeTar and I did a workshop introducing the InterTwinkles tools for coops to Millstone Coop. It started out as we planned, with a general introduction, forming an InterTwinkles group for Millstone, and everyone joining it. Then things got silly, fast! Someone used Firestarter to ask what everyone’s favorite dessert was. Using Dotstorm, some ideas for a house retreat were posted. A Twinklepad was used to start a list of our favorite websites. As more and more folks jumped in, housemates asked each other what mystical animal they would be, and made proposals to buy cereal, ice cream, a pony and a goat. Proposals were amended to debate flavors of ice cream and alternatives to buying cereal. One housemate pointed out that goats poop a lot, and blocked the proposal to acquire one. That proposal was then amended to include the statement “We will only buy goats that don't poop. (Do they then explode? )” The revised proposal garnered even more support. 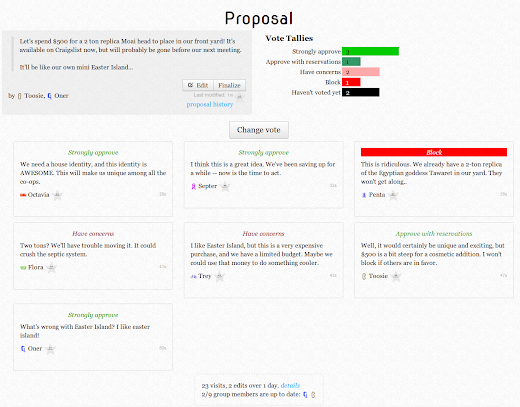 Housemates enjoyed using the ability to post ideas and proposals on behalf of other group members, intended to bridge the gap among groups with divergent internet access or usage. Soon it was clear that one housemate was not saying what was posted in her name, and soon everyone was laughing as we tried to keep up with rapid fire posts and silly proposals. We concluded the workshop thinking together about how Millstone could use InterTwinkles for our household discussions and decision making. We imagined how previous house topics about our chickens or pest control could have benefited from these tools. Then some of us made a trip to JP Licks for ice cream and frozen yogurt. Really pretty good fun for a Monday night! Wanna try out InterTwinkles at your coop? Let us know; we make house calls! All of us who have ever been part of a group decision know that it can be a big challenge to reach consensus. 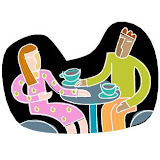 If the issue is small enough we have lots of tools to help us reach an agreement: short e-mails, quick informal chats, short phone calls, and so on. When it comes to larger or more complicated decisions, if they require the input of everyone in the group these tools become mostly useless. This makes asynchronous decision making at best strained and at worst impossible. This is where the Co-op Startup Fund comes in. 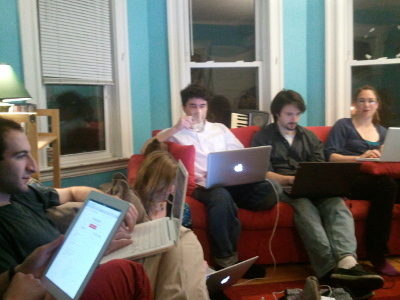 Last year the Boston Collective House Assembly began trying to come up with the outline for a loan fund that would help to fund the formation of new co-ops. They did most of the discussion in person, with asynchronous communication delegated to e-mail and wiki editing, and in May of last year that discussion petered out. This isn't surprising to me. I can't count the number of times I've had similar experiences, where the medium for discussion makes it impossible to come communicate effectively. As soon as a topic gets too big to put in the first paragraph of an e-mail, or as soon as the discussion gets heated enough, I find myself staring at my inbox with dread as the little number next to the reply count continues to tick up and up. From how often these sorts of things get resolved, I'm sure I'm not the only one who does this. Most of the time discussion gets pushed off to the next in person meeting, or delegated to a single person to take charge of, but these solutions aren't always feasible. Some co-ops meet less than once a month, and sometimes there's no one with the time to take full responsibility for a big decision. As Charlie mentioned in his previous blog post, there are many reasons why he's interested in decision making tools, especially when it comes to coordinating a single group. But the bigger and more disparate the group the more useful the tools become. So here's where InterTwinkles comes in, and how it grows from a group decision making platform to a clustered one. We're hoping to get lots of co-ops involved in using and perfecting the tools on their own in their regular meetings and decisions. Some of these tools are new, and still quite rough around the edges, and we need people to give us good feedback on how well they work. Thus empowered with these tools we aim to re-ignite the conversation about the Co-op Startup Fund. The participating groups should now be familiar with how the tools work and should be able to jump right in to making and adapting proposals. Our hope is that not only will we learn a lot about how these tools can help facilitate group decision making, but we'll provide the platform that the Co-op Startup Fund needs to get out of the discussion phase and become a reality. This spring and summer we will be trying these tools out with cooperative homes in the Boston area. We hope to learn what works, what doesn’t and how to improve the tools to more fully address the needs of small democratic groups. What InterTwinkles probably can't do is create trust among participants, but if participants work together to build relationships and trust, than hopefully InterTwinkles can become part of the processes that groups use to make democratic decisions. The tests and try-outs of this spring and summer will help us determine the possibilities and limits of these tools in democratic decision-making.